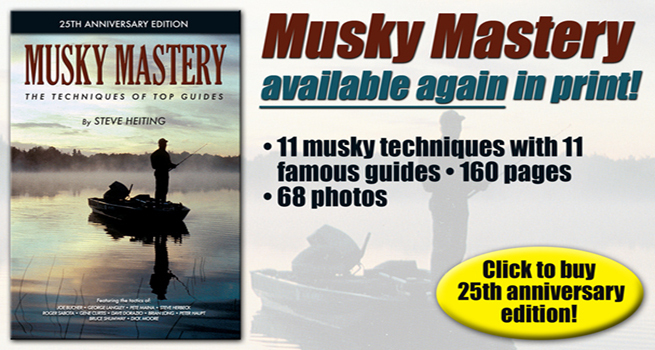 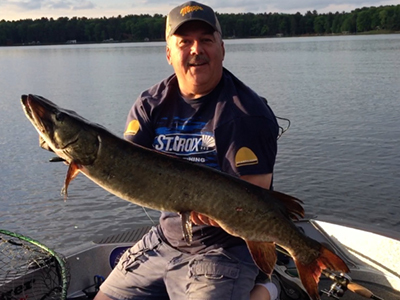 Thank you for visiting the official website of professional musky angler Steve Heiting. 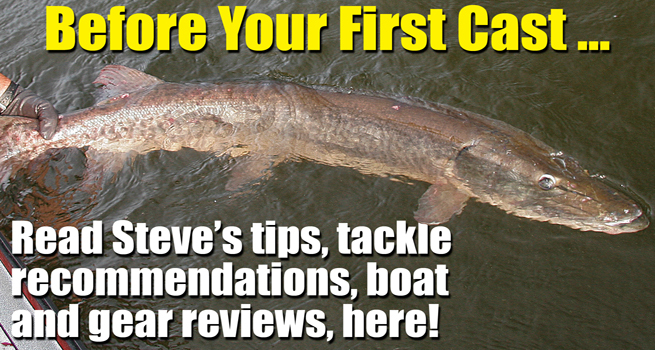 On this site, you can learn more about Steve, find out where you can hear him speak, read some of his articles, learn what tackle and equipment he uses on the water, and purchase his DVDs. 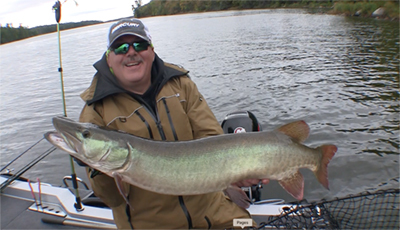 PARK FALLS, Wisconsin — Steve Heiting will join a number of other top anglers in speaking at St. Croix Rods’ first-ever Spring Fishing Summit, which will be held Saturday, April 27, at St. Croix’s Factory Store in Park Falls. 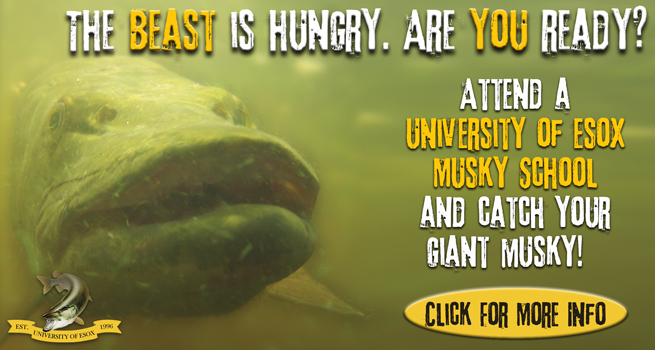 The Spring Fishing Summit will culminate with dinner and a seminar with HOF Legendary Angler Joe Bucher. 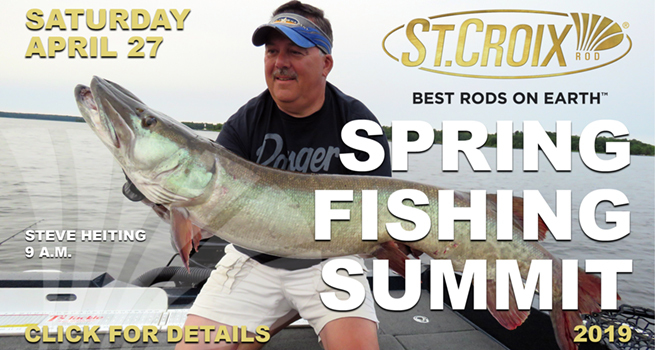 Anyone planning to attend the evening festivities must RSVP to St. Croix. 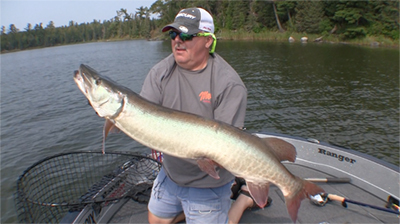 Other speakers include panfish guru Brian “Bro” Brosdahl, top walleye pro Tommy Skarlis, and northern Wisconsin guides John Kleczewski and Chas Martin. 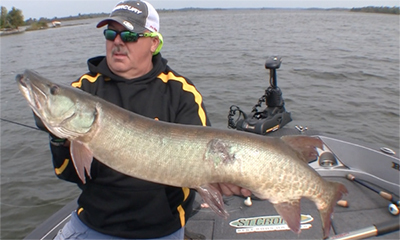 The Spring Fishing Summit will include a number of promotions at the Factory Store. 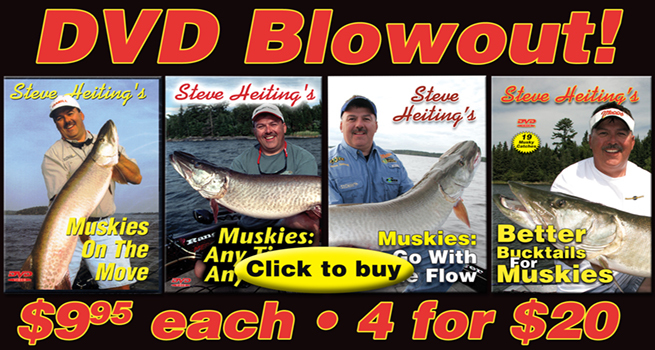 They include: up to 40% off remaining 2018 inventory of Mepps, Joe Bucher Outdoors and Lake X musky baits; 20% off retired St. Croix Legend Tournament Downsizer rods; a Daiwa Crossfire 1000 reel with any Panfish Series rod purchased; a Daiwa Crossfire 2500 reel with every Eyecon Series rod purchased; and a Daiwa RG reel with any Legend Series rod purchased. 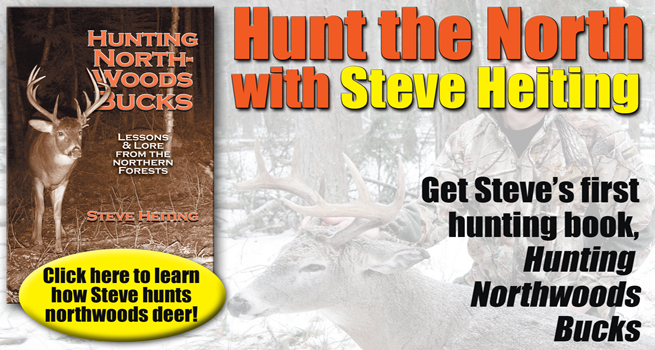 For more about Steve Heiting’s seminar and appearance schedule, click here.